Need snow plowing and ice management experts in the northern suburbs of Chicago? Jackson Landscaping provides commercial snow and ice management services with snow plowing and ice removal professionals in Deerfield, Lake Forest, Winnetka, Glencoe, and Highland Park, Illinois. You can trust Jackson Landscaping for all your snow and ice removal needs. We can handle the most severe of weather events to help protect the safety of your employees, tenants, family, and friends. Jackson Landscaping can clear and treat unsafe parking lots, sidewalks, driveways, and more to assure safe passage. We prepare in advance for the unique challenges of winter. 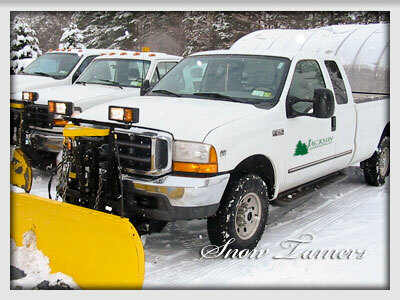 Snow and ice management consists of not only removal of snow and ice on or off property, but also the treatment of ice before and after storms to protect your property and maintain a safe environment. Good equipment, planning, and a professional team make a huge difference in winter preparation and situations. By working with Jackson Landscaping, you are partnering with a professional team committed to excellence in safety and service.